Home Reviews Samsung Galaxy Note 9 : The Most Powerful & Innovative Smartphone of the Year! Samsung launched the most awaited Samsung Galaxy Note 9 globally on 9th August 2018 and added another premium device to its Samsung Galaxy Note Series of Smartphones. Note series has always been innovative with Samsung’s smart reforms and is a complete smartphone for people who demand everything from their Smartphones. Samsung Galaxy Note 9 continued this legacy and is not only powerful with its specifications but also comes with developed smart intelligent features which makes it different & unique from others. Samsung Galaxy Note 9 impressed everyone at the launch event #Unpacked and looks an interesting smartphone as it comes with loads of features at a decent price. 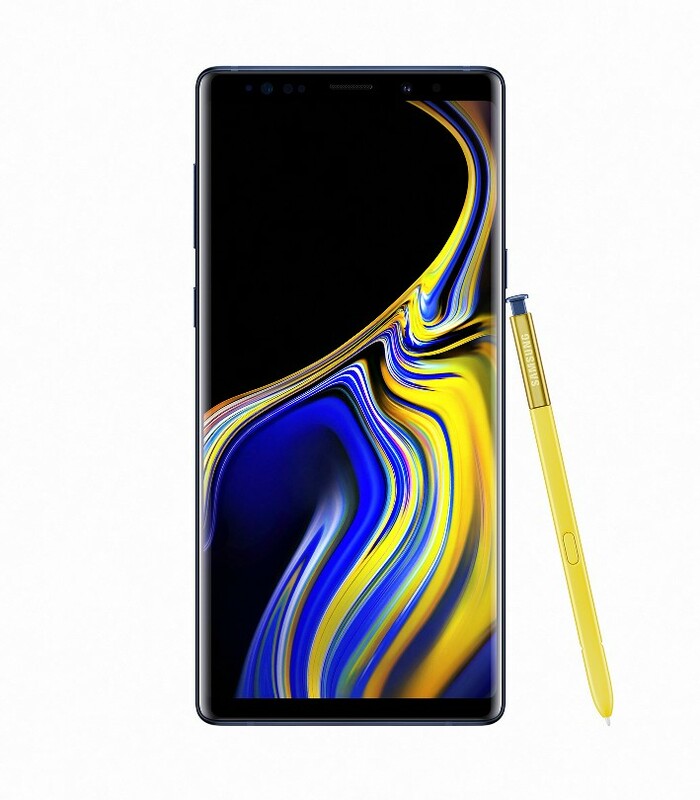 Samsung Galaxy Note 9 is impressing everyone with its features which made us do a review of the all-new smart and stunning Samsung Galaxy Note 9. Samsung Galaxy Note 9 is Samsung’s first device with a huge screen and largest infinity display which makes the Note 9 more attractive. It has the beautiful Dual-Edge infinity display with 6.4″ Quad HD screen and the famous Super AMOLED display. Samsung has always been known for its design and display quality and today with the Note 9 have maintained its legacy. Features like edge-to-edge surface, bright screen and Good look from front & rear makes the Note 9 more beautiful. Samsung Galaxy Note series has been known for its fast execution and big memory. The Note 9 sports the faster 10nm octa-core processor for better usage. It comes with the cutting edge processor just for giving you the speed with the 10nm chipset. It also comes with an external memory card slot for expanding your memory up to 512GB so that you can have totally 1TB of storage. Note 9 gives you a massive storage up to 1TB so that you can always utilize the space whenever required without any hesitation. Faster Memory and Huge storage option that’s what makes the Note 9 a perfect device for the people who always want To Do!! Innovative Water-carbon cooling system diffuses heat for efficient cooling and gives you a smooth and lag-free gaming experience which is one of the smart features of Note 9 that also makes it a good gaming device. The revolutionary smartphone camera is here in Note 9 and has now become more intelligent. With features like dual aperture which gives you perfect stunning shots at any time. The Rear Dual 12MP cameras enrich your photography experience, while the 2X optical zoom and the other telephoto lens along with the wide angle lens work together to click some awesome pics. Other features like Dual OIS and HDR for low-light takes the photography skills with Note 9 to next level. Live Focus for perfect portraits and scene optimizer detects the subject and chooses color accordingly which enhances and give a good look to your pictures. 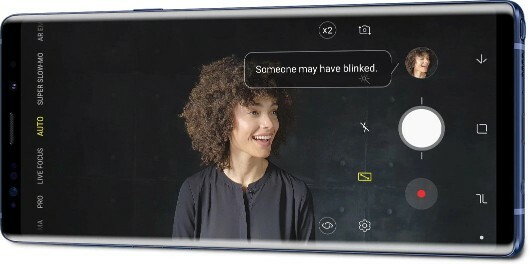 The Galaxy Note 9 comes with another innovative feature called the Flaw Detection which intelligently detects flaws in photos like blinks, blurs, smudged lenses, and backlighting. It notifies you so that you can adjust or reshoot the picture. The 8MP front camera smartly detects faces and clicks a perfect shot every time. The Note 9 camera also has some other cool features like Super slow-mo @960fps, AR emoji, and up to 10X digital zoom. Samsung Galaxy Note 9 comes with a battery capacity of 4000mAh that gives you the power for doing your work entire day. Also with fast charging, you can easily fast charge your Smartphone and continue using it. Note 9 has the stereo speakers tuned by AKG and with the theatre-like experience of Dolby-Atmos Note 9 gives you even more vivid sound and louder volume. Samsung Knox offers you a complete protection for your device right from the time you start using your device. Along with biometric authentication, you can unlock your device instantly anytime with an iris scan or face recognition. 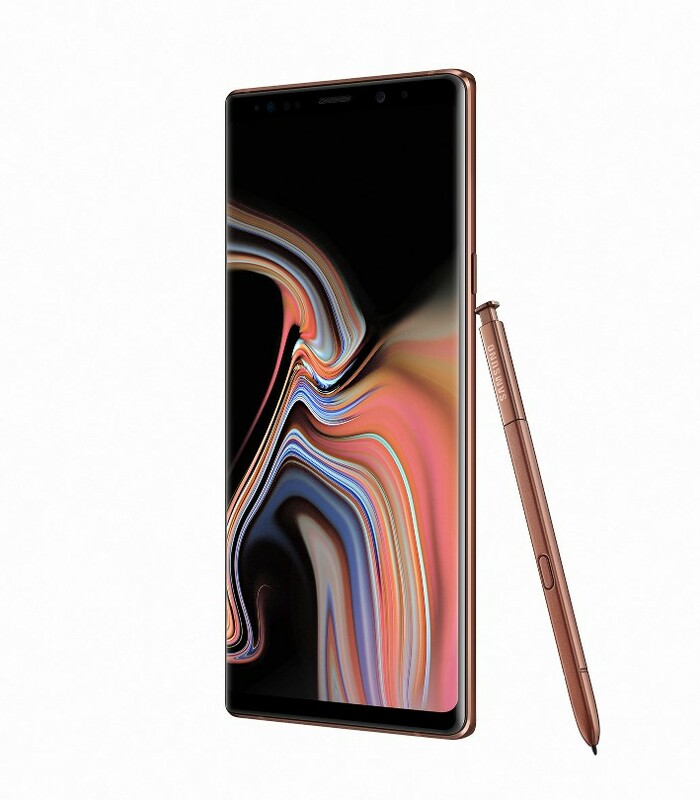 S Pen the Intelligent Tool that makes the Samsung Galaxy Note 9 different from others with its capability to perform functions easily and along with Bluetooth connectivity you can have ultimate control on your device as it acts like a remote. So with S Pen you can carry out some amazing tasks like Clicking a Selfie, Snap Photos, Change Slides or Youtube videos just with an ease. The S Pen offers you 30min of power in just 40secs. Samsung Galaxy Note 9 will be available from August 24, 2018, onwards officially while its pre-orders have already started. So you can pre-order your Galaxy Note 9 here. 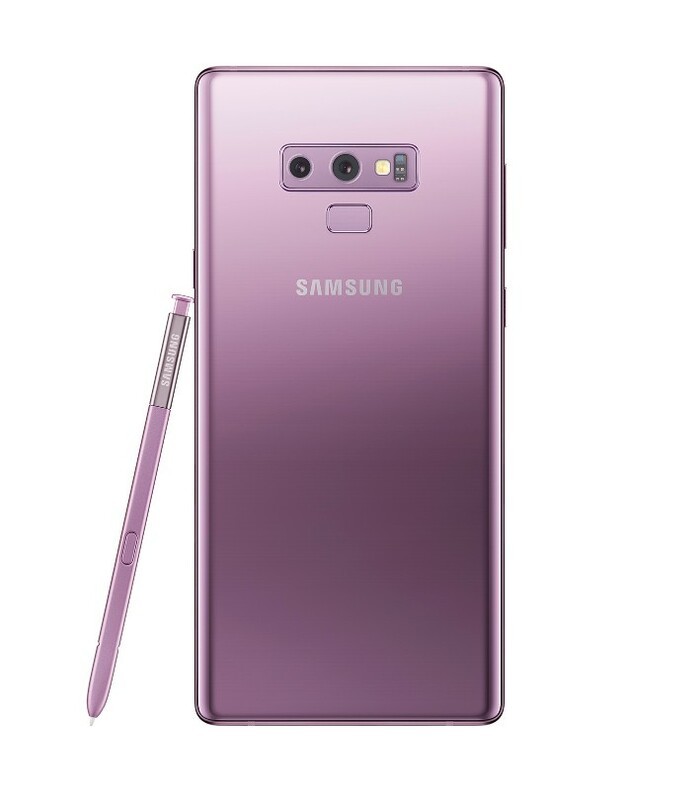 Samsung Galaxy Note 9 offers you a complete package in a Smartphone and with the smart innovative features like the intelligent camera, S Pen functionality along with those powerful specs and the decent pricing Note 9 just proves why its the smartphone for innovative people for those who do. Note 9 is a great device with an intelligent use of technology and the entire review gives you the answer. Samsung Galaxy Note 9 is a hit ! !